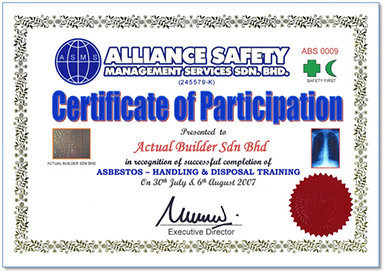 Actual Builder representatives have participated and completed the asbestos removal training programme conducted by Alliance safety Management Services Sdn. Bhd. 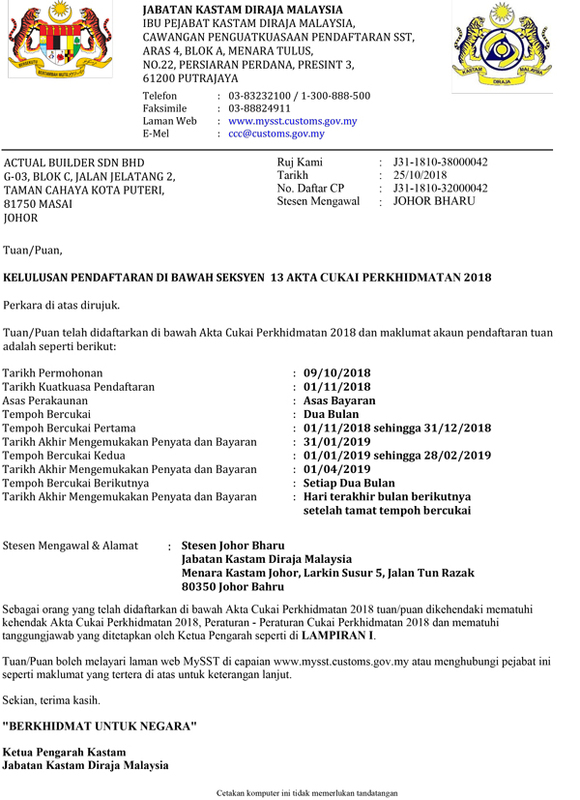 , these training are essential to meet the standards and covering all safety and technical subjects outlined by the Occupational Safety and Health and Administration regulations. 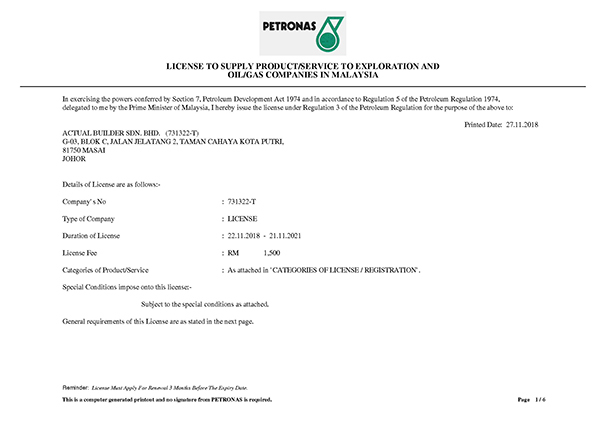 Actual Builder has been supplying equipments and providing manpower services for Petronas Carigali Malaysia Oil and Gas project since 2006. 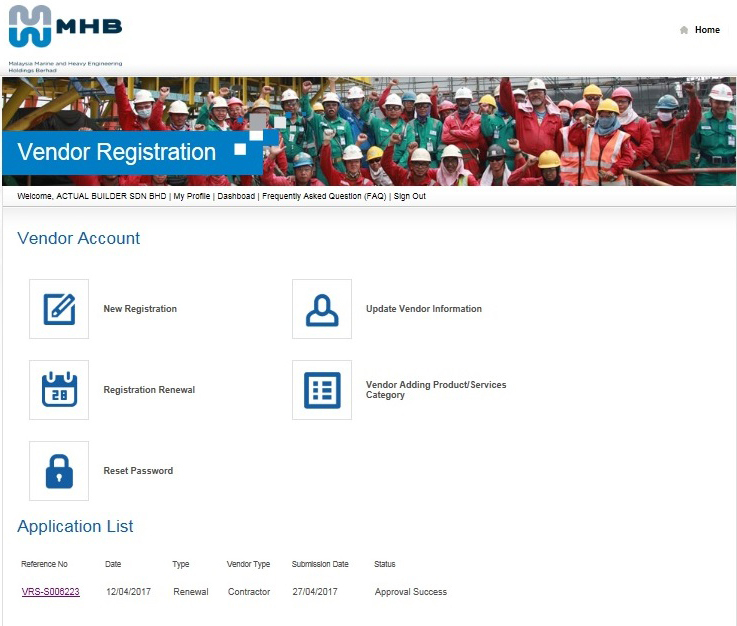 With registration for MOF Licence Treasury Registrations, Actual Builder is legitimate to participate in Government & Semi - Government Agencies Tenders and Government Contracts and to supply contract workers. 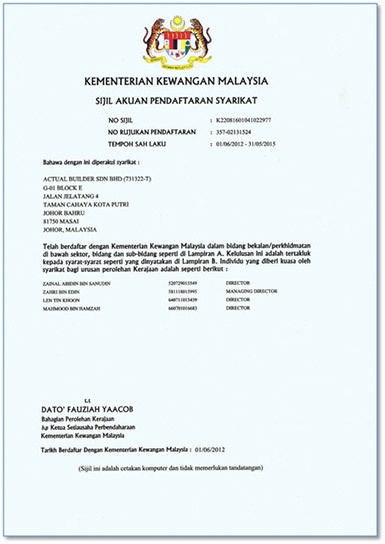 Ours renewal and approved registration with Malaysia Marine Heavy Engineering (MMHE) as a contractor with validity period from November 2012 to November 2014 authorized us to continue providing services and operation for MMHEs' project in MMHE Fabrication yard. 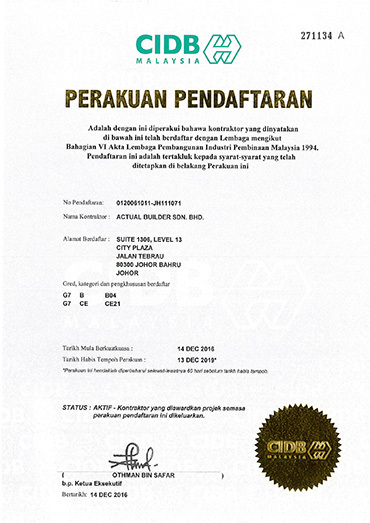 Actual Builder is now officially endorsed by CIDB, as a Grade G7 Contractor. This endorsement adds to another milestone in our credibility as the preferred business partner in providing quality services.